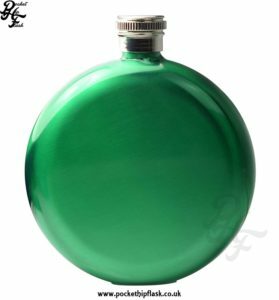 variety of round hip flasks. 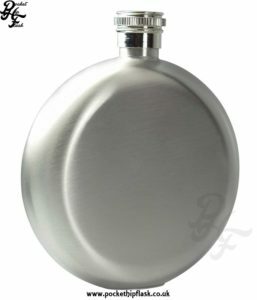 Our round hip flask range includes some great looking pewter hip flasks that are made from lead free shiny English pewter. 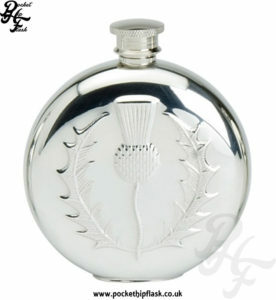 These hip flasks come in many different styles including our Scrimshaw and Celtic flasks with pewter figures. 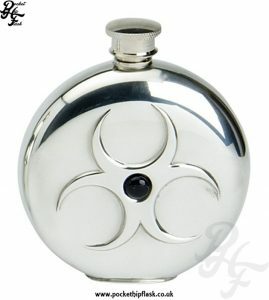 We also sell a variety of stainless steel round hip flasks. 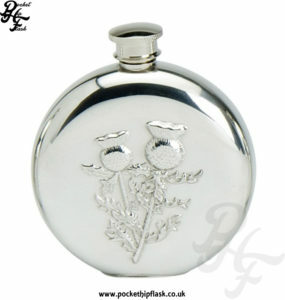 Round hip flasks have become quite popular due to there shape. 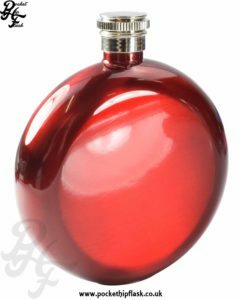 Most people would normally look at the rectangle kidney shaped hip flasks but rounder hip flasks offer something a little different. 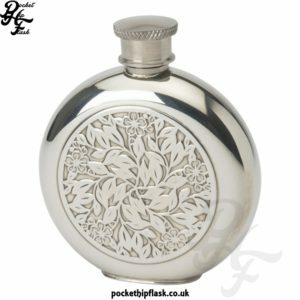 We have hunted high and low to find the best looking pewter and stainless steel hip flasks for our customers. 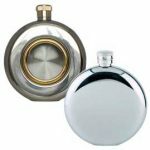 Our round flask range includes stainless steel country living scenes, these are hip flasks with colourful scenes of shooting, fishing and wild animals. 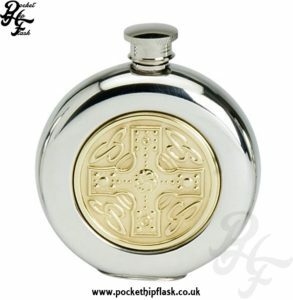 We also sell Round Celtic hip flasks that come complete with a pewter Celtic badge on the front that really brings out the shiny finish of the hip flask. 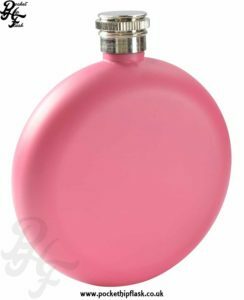 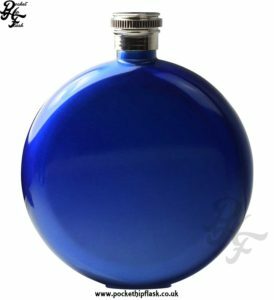 Our round window flasks come with a see through front that looks onto a beautiful and colourful country scene. 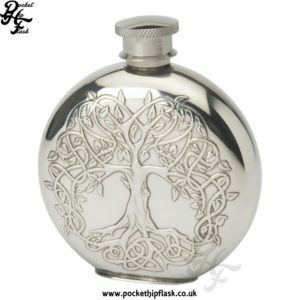 Each themed flask comes complete with a pewter figure. 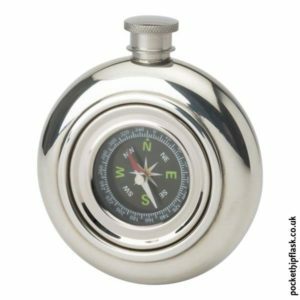 Whether it’s a fisher man standing in a stream or a fish jumping from a river these beautifully crafted hip flasks look great. 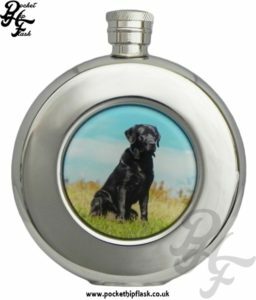 The Scrimshaw range of round hip flasks that we sell are made with a beautiful resin disc that has been beautifully painted with a scene from the country. 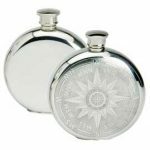 When this style of hip flask was originally produced many years ago Whale bone was used for the disc (Naturally we do not sell whale bone and do not condone the use of whales for food or anything else for that matter). Nowadays these wonderful round hip flasks are made using a resin disc instead of whale bone. 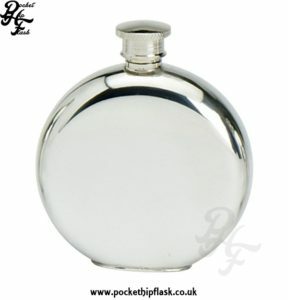 We think the off white disc really stands out against the pewter and brings this round hip flask to life. 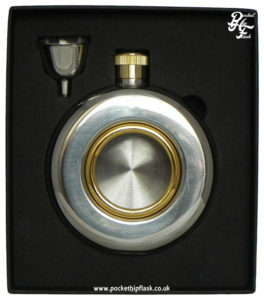 Another one of our best selling hip flasks from our round collection is our fishing reel flask. 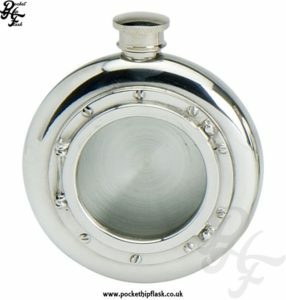 This great looking round hip flask closely resembles a fishing reel. 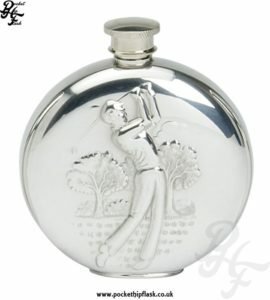 The back of the flask has a picture of a fishing scene with fisherman catching a fish.